Can Nokia and Microsoft be the comeback kids? 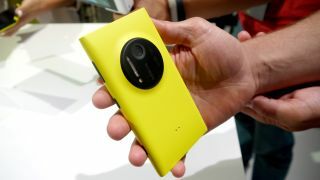 Is the Pureview camera Nokia's best shot for a rally? As Britain swelters in conditions Brits call "hot" and Australians call "wintry", TV screens have been tuned to the tennis: on Sunday, Andy Murray triumphed at Wimbledon. Last year's underdog was this year's hero, and we can't help thinking that several tech firms hope to make a very similar journey. According to Gareth Beavis, Nokia is one of those firms: the Lumia 1020 "is going to be the device that not only reminds people how good Nokia used to be, but will also herald a real change in the company's fortunes." It's going to "obliterate the competition on the imaging front" with its extraordinary PureView camera and "if in a year or so Nokia is announcing booming profits and Samsung, Apple and HTC are all looking nervously over their shoulders," the 1020 will be the phone responsible. Nokia isn't the only phone giant to be eclipsed by the rise of the iPhone and Android: BlackBerry's another former king reduced to underdog status. Could the BlackBerry 9720 be its comeback? Er, probably not: it'll be running BB7, not BB10, which seems rather odd. Much more excitingly, the long-rumoured A10 flagship is imminent: as Chris Smith reports, it looks like a Samsung Galaxy S4 and apparently has "a focus on gaming". In the meantime there's always the BlackBerry Q5, which John McCann says is easy to like but "difficult to love", not least because it's too pricey to be a true budget option: "We can't help but feel the only people likely to seriously consider a BlackBerry Q5 are those yearning for a Q10, but whose pockets are not deep enough to afford one." Remember when HTC ruled the Android roost? The superb HTC One was a real return to form, and it's getting a revamp. As Michael Rougeau reports, there will be an updated version of the flagship phone by the end of this year - and there's a sequel, codenamed M8, due in 2014. The refresh might be more than cosmetic, too: we're hearing that it'll get a faster processor, which should make its already silky-smooth performance even better. It feels odd to call Microsoft an underdog, but it certainly is in tablets: Windows RT hasn't been an enormous success, and while the Surface Pro is a great bit of kit it's massively outnumbered by iPads. Microsoft hopes to change that in the coming months, and it has new versions of both the Surface RT and Surface Pro due within the year. As Chris Smith explains, there'll be more than just two tablets: there may be a 7-inch device and/or an Xbox Surface tablet, and Microsoft also "promised new Surface accessories and accessory colours, which could mean new-fangled tablet covers, with recent rumours suggesting future iterations will actually be able to charge the device." But that's not all the news coming out of Redmond: Microsoft's had a bit of a reshuffle over at HQ. The company wants to give you one big Microsoft experience across all its devices and software, with the plan being to make more of its own-branded phones, tablets and "small wearables". Ballmer's memo to staff spoke of a "nimble, communicative, collaborative, decisive and motivated" company which, as the ever-insightful Kate Solomon points out, "doesn't sound much like the Microsoft we currently know", while Dan Grabham argues it's Ballmer's last chance to make the whole thing work. OK, Microsoft. Here we are now. Entertain us.